We are working with a research team that has done extensive testing on captive bred horned frogs from all species. They have discovered that the ceratophrys have a very high rate of chytrid fungus and act as silent carriers. They can survive for long periods of time until stressed, at which time the chytrid wins. This is one reason many young horned frogs fail for not apparent reason. Testing in pet shops of captive bred and wild caught frogs of many species has found chytrid in a very high percentage of them. Much of this info is on another thread right now. We will be moving the info here and adding information as we get it. There is a treatment that works. We have treated all of our frogs just to be safe and will be certified chytrid free. I have to comment despite the seriousness of the topic -- I love what you titled this thread! Thank you Jennifer....we try to catch peoples attention to all of our threads by some weird title. I just got the new issue of Reptiles magazine today and there is an article about the chytid fungus in it. I haven't gotten a chance to read it yet, but I wanted to let everyone know. Yes the article has some good information in it. However it gives a false impression that captive bred frogs are safe at this point. It also gives no treatment options. It lists the work of DR. Nichols at the National Zoo In 1999 Janet had been communicating with him and they discovered that he and she were both experimenting with ketoconazole to treat frogs. He has published his successful treatments using this drug. In the article the role of DR. Joyce Longcore who first identified the fungus as a new species is mentioned. The person doing the chytrid testing for Chris Rombough, the herpetologist we are working with, trained under DR. Joyce Longcore. The research and treatment developed by Jay Bowerman and Chris Rombough has not been published yet.Testing has confirmed the presence of chytrid on many pet trade frog species, both wild caught and captive bred. The Lamisil treatment has cleared chytrid from infected frogs that remain clear in follow-up testing. Ongoing tests with tadpoles with a weaker solution is very promising. Again the Lamisil AT treatment is as follows: 10 squirts into 200ML of water. Soak frog for 5 minutes per day for 10 days, being sure to have solution get onto the entire frog. Keep frog in clean setup after each treatment as just putting back into the original setup will just keep reinfecting the frog. Sterilize and redo the original setup before reintroduction of the frog. One of the shocking discoveries in this current research is many species can live in harmony with the fungus for long periods of time. The horned frogs can be born infected with the fungus and are common carriers. 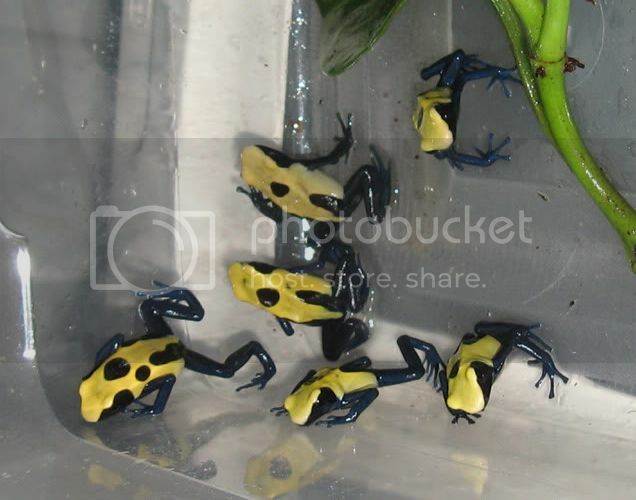 I was curious if chytid fungus is the same fungus that causes atholete's foot, i struggle with atholete's foot personally, and the medication described in these posts is an atholete's foot medication, also whenever I buy a new frog from a pet store, is it ok to give them the treatment even if they don't show any signs of being sick, as a precaustion to prevent sickness? thanks so much. Clint After reading this post I'm pretty sure that's what killed all three whites i had they showed signs of being sick, the stomach was discolored and they droped dead the next day and they smelled funny right before they died. They way we have frogs set up there is little chance of cross contamination. Our findings are the troubles run much deeper, much broader and more widespread. The human tendency is to try and find blame however pointing fingers is pointless. Anyone who has bought wild caught animals that have gone through wholesalers has come into contact with chytrid whether they know it or not. Animals can be maintained for some time with no signs of trouble especially with warmer and dryer setups, but when introduced to breeding conditions or cooler temperatures they die for no apparent reasons. Tadpoles can do well, morph into healthy froglets then all of a sudden high mortality can start for no apparent reasons. Young froglets have been seen dropping out of the trees like falling leaves. They may be unable to right themselves if turned over and drown in very shallow water. They will often die with legs stretched out or just die in mid-stride. There are no obvious symptoms which leads to a lot of guessing by keepers. Most keepers never test for chytrid, just have strange unknown deaths of otherwise healthy animals. Chytrid is a worldwide epidemic with many "hot" spots. People who have brought in wild frogs from Central America, South America or Asia and never feel it has come into their collection are in denial. We just brought in a shipment from Malaysia that went directly to a herpetologist for chytrid testing. We will be treating EVERY FROG for chytrid as a preventative measure. Test results take several weeks so we won't wait. It will be interesting. Our approach has changed since we learned captive bred frogs are showing up in pet shops with chytrid. I will be posting chytrid slides on the chytrid link I started shortly. Yes Lamisil AT is a foot fungus treatment. Chytrid is a different fungus. Chytrid slides from a pacman and a whites tree frog. The pacman is a captive bred from captive bred breeding stock. 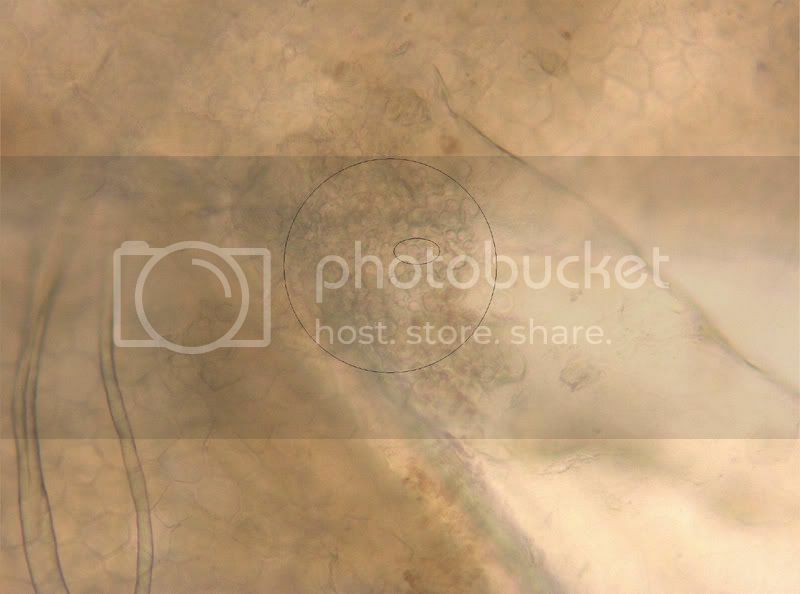 The first is in the ventral epidermis of the Ceratophrys (pacman). The second is from a Litoria caerulea. This animal had a chronic prolapse problem, and the owner put it down. So, once you do this treatment, the frogs come up clean and if your enclosures stay clean, this won't be a problem as long as no new untreated animals are in the area. If this seems right, a $19.99 white's tree frog could wipe out your colelction of frogs if left untreated, if it were carrying the chytrid fungus? Does this treatment cause stress? As liseted above, if you treat and uninfected animal, are there any risks? Athlete's foot medication on frogs is a bit different than tetracycline or other fish medications. I plan on bringing in some import frogs here soon and want to be prepared, and more importantly that my collection is safe. Also, is there a rinse cycle? Cover entire frog in medicine for 5 minutes thne clean off? What about arid species and the moisture? Can you explain those slides a bit, Steve? 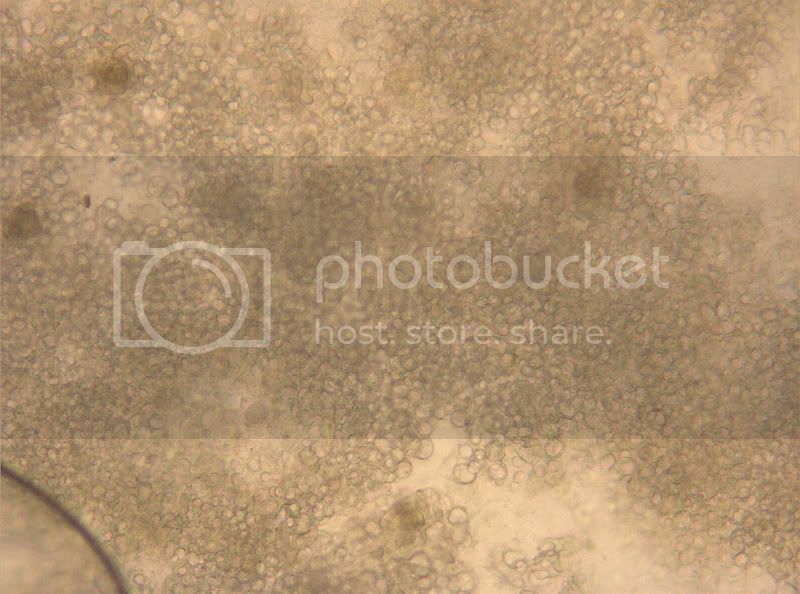 Are the little round bubble things the chytrid? Ryan...yes the round things are the chytrid. Derek. Follow-up testing 3 months after treatment has found no chytrid on previously infected frogs. Chytrid is in many more collections than suspected. I am sure many breeders have chytrid and just do not know it. No rinse cycle, just back into a drier environment and a water bowl while the treatment is underway. The frogs need to come into contact with the solution during the treatment. Dunk them, splash it over them whatever is needed to completely wet their bodies. Do not hold them under water for the 5 minutes as they will die. 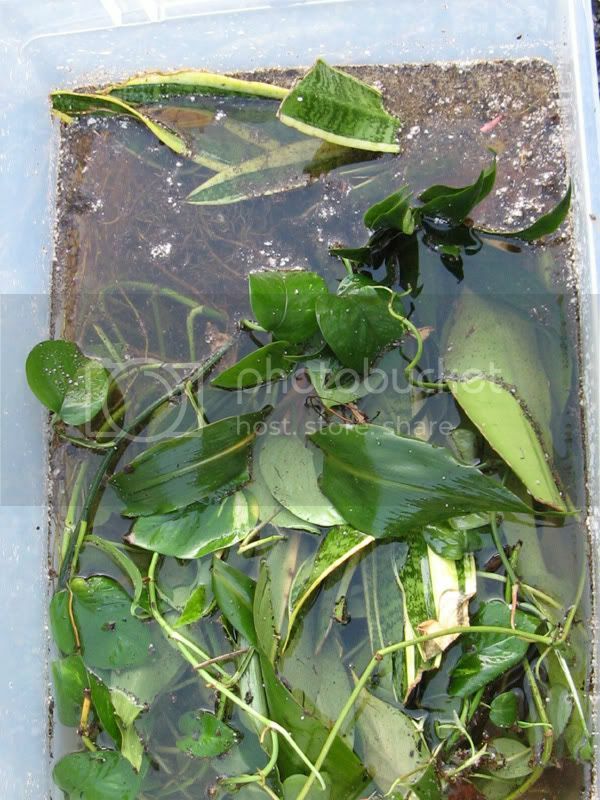 With climbing frogs put into an enclosed container with an inch of the solution. Roll the container to cover the frogs as they hang on the sides. 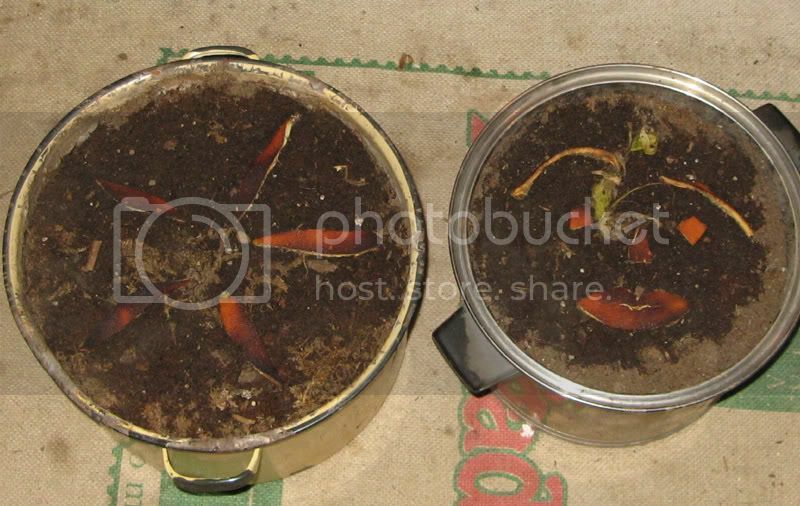 Some pictures of treatment and sterilizing plants and dirt. For plants soak in a 1/8 cup bleach to 1 gallon of water mixture for 10 minutes. Soil cook at 400 degrees for an hour. Wet dirt so it will not catch on fire. The inside temp of the moist soil should reach 200 degrees. I do not envy you your chore, Steve. I've also sent frogs for testing, but have not gotten the results back yet. I am planning to treat all my frogs after school is done in several weeks, since I did have a pacman in my collection. I have a lot less work ahead of me than what you're dealing with, and it seems overwhelming as it is. I love the face in the dirt, btw. I assume you're treating multiple frogs at the same time, correct? In other words, I would imagine that you have a few frogs in the same container as you medicate them. Are all animals being housed individually during the 10 days of treatment or in groups according to species. Also, is the dosage the same for any frogs, regardless of size? Does the age of the frog play a part in the dosage? Have you tried the medication with tadpoles? Do you think this treatment would work for other amphibians. Thanks very much for all the info. I'm sure we're all learning alot from this thread and that you're saving alot of frogs' lives. Yes we are treating multiple frogs from at least 15 species at this time. The treated frogs are kept by species as well as size. Basically we take and treat an entire habitat together, and keep them together during the 10 days, then move them into their sterilized habitat. We use the same dosage no matter the size. Small pacman or breeders get the same dosage. The herpetologist has successfully treated tadpoles using half the dosage. We are experimenting with it in one of our breeding tubs. We have not tried it with any other amphibians. This is interesting for sure. I am going to be treating my frogs soon. I had some Phyllo. hypo. die very mysteriously and in a large manner a couple weeks back and before that lost 2 of 3 moreletti last year, both of those moreletti drowned in .25" of water. I saw on dendrobard if you keep the frogs above 75 degress, then it won't kill them, so I guess that could buy you some time. Also, you mentioned that the paper towel substrate is changed in the enclosures after every dosage. Do you sterilize the tank itself and any decor, (i.e. pvc perches, water bowls) every day as well? 75 degrees is too low. Temps over 90 seem to slow chytrid down and probably kill it as well as kill the frog. Lower temps kick chytrid off. Some frogs can live a long time with chytrid and then have something else weaken it's immune system and the fungus takes over. Derek not paranoid....smart. Chytrid is worldwide. It is transported via ducks and American bull frogs in the wild, and been found living in the mud at the bottom of ponds. We treat all incoming frogs with fenbendazole (Panacur), a wormer, and now the Lamisil AT treatment. As far as drug interactions with other chemicals in soaks we are not sure. This Lamisil AT treatment is very new. Follow-up tests 3 monhs after treatment have shown it is effective and to date no known side effects. We are treating some small, rare and delicate animals with no visible side effects. We sterilize everything in the tanks after each treatment. We suggest a fairly sparse tank while treatment is going on. I set up a new rack in another room with 10 gallon verts for each individual (or pair) of imported frogs. They are very sparse... 3 sies painted black, PVC pipe perches (sealed), paper towel substrate, disposable water dishes. I also clean with nolvason or with a mild bleach solution. What do you use for sterilization Steve? I am curious how you dose panacur and what form you use? liquid? paste? powder? We use a mild bleach solution to sterilize. We also spray the solution in the temporary holding tanks. We use paste panacur and give it orally. We buy the tubes of horse wormer. Powder panacur is getting hard to find. Any measurements? When I used the horse wormer in paste form, I was always worried about over dosing and just stress of administering it orally. How often do you do it? I once tried to make powder by drying the paste, but that did not work out so well. I always figured it would be easier to dust crickets with panacur and less stressful. I think I will be making a trip to wal mart tomorrow for lamasil. Im a little confused. Which solution do you spray in the holding tanks? Thanks for fielding all these questions! Is it wise to let a newly acquired import get settled before beginning the treatment? I picked up the 4 tiger leg leaf frogs last week and I know they are imports. I would like to do this treatment on them but did not know if I needed to wait till they settle in a bit. Can some one explain the panacur a bit more? where can you purchase panacure? I got my paste form of panacur at a horse/farm animal store. Usually comes flavored (apple I think) or non flavored. Just go with the tube of non flavored, relatively cheap. With the Panacur paste a little dab will do you. You can put a dab on the head of a cricket that is the correct size cricket for that animal. The dab should be about the size of the crickets head. We treat new imports as soon as they come in. 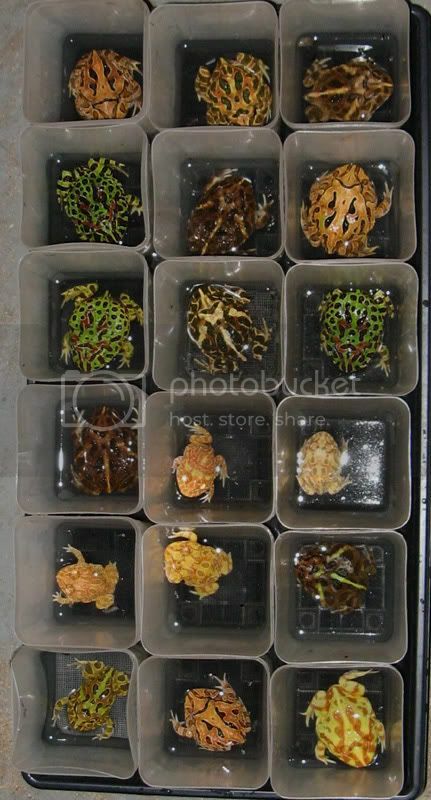 I got the 100 frogs from Malaysia home Friday night and they started treatment Saturday. The solution sprayed into the tanks is the treatment solution. As to the citronella...They can get chytrid. We have not seen any deaths in the darts. The group of citronella stared looking a little dirty, which can be a sign of chytrid, so we treated them sooner to be safe. I have started this treatment with all my frogs recently and it's been kinda wierd. I have noticed improvement in color on my White's. We will see how it all works out. Steve, what do you mean by.... dirty? Pictures? And you are saying you spray some of the lamasil treatment in the quarintine enclosures after you use the mild bleach solution? Probably not a lot so it evaporates quickly, but still kills any of the chytrid floating around? Mego, thanks for posting that you are doing it, I was a bit unsure, but I am going to get the stuff today and start today or tomorrow. Are you mking new solution for every species that you have? Dirty.....just not the bright color they should be. As chytrid spreads on the frog, their skin thickens giving them a duller look. 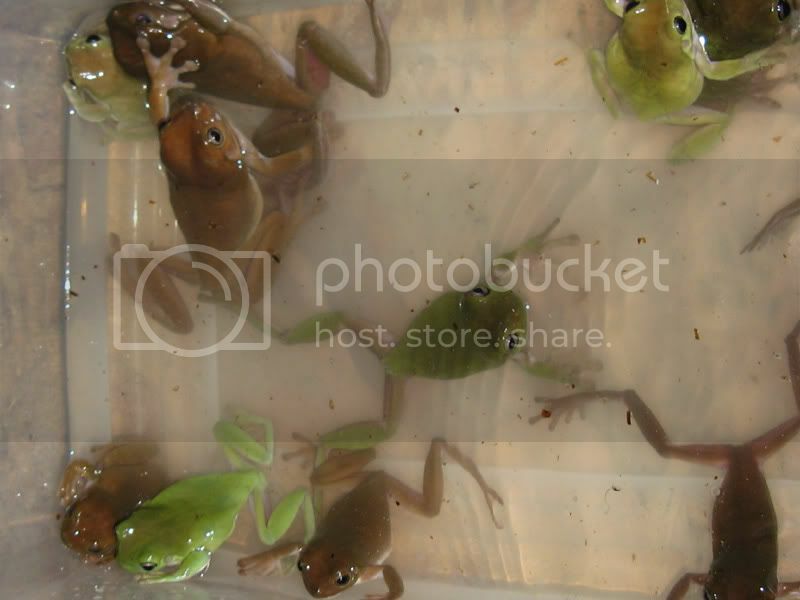 I will take some pictures of the phyllomedusa species that have been being treated and post them later today. As for the PDFs - they definately do get chytrid! At least one very well known PDF collection was very hard hit by the fungus, and that's when it was known to be an issue... it's believed to be behind a number of other instances of collections getting decimated. While I'm pretty confident about chytrid not currently being in my collection, the PDFs are going to be the first to get treated. Steve, sounds good on the pictures. I have been keeping an eye on my citronella and other frogs. I guess today will be massive cleaning. I am really glad all of my frogs are im simple rubbermaids with spaghnum and pothos, so I can bleach plants and toss/replace the moss. I can't imagine tearing down entire enclosures like you have. I am going to have my room sealed off like a fortress ha. How easy do this stuff spread also? I used to volunteer at a zoo many years ago and they always had me step in a large dish with a sponge that contained Nolvason to prevent stuff from entering/leaving on your shoes. What are your thoughts on this?